Passing your real estate exam is one of the most important steps to getting your real estate license and becoming an agent. To prepare for the exam, we recommend five easy steps. First, use specific exam prep material and study aids. Then, consult a real estate friend who’s already taken the exam. Next, make sure to be well rested before you take the test. Also, double check that you’ve ready each question carefully during the exam. Finally, take your time and pay attention to the details. If you follow all of these steps, you could be setting yourself up for a passing grade on your real estate exam. To help walk you through the process, here’s an in-depth look at the five tips for passing your real estate exam. The sheer amount of material that is covered on the real estate license exam can be overwhelming. There are a number of exam prep study aids to help you focus on what you need to study in order to pass. Take practice exams to see where your weaknesses are, and concentrate on improving those areas. Also, review study hacks that can help you make the most of the time you spend in your books. Change up your practice exams so that you can get a feel for question variations and different wording. Know your mathematical formulas, as they are the key to studying for all of the math sections. Regardless of what the specific exam question is, the formula remains the same. Focusing your studies on specific areas, like math formulas or other areas you find challenging, will make passing your real estate exam much less overwhelming. Two (or more) minds are better than one. Find others who are preparing for the same exam and work together. Studying with a group of people working toward a common goal not only helps cover more material but also creates an atmosphere of accountability. Being accountable to others can be very motivating and helpful to your studies. It also helps to talk to friends who have already passed the exam. They might be able to let you know about areas their exam focused on and what they found challenging. As a bonus, connecting with agents who are already in real estate helps broaden your network and lets your friends know about this new career you’re about to embark on. 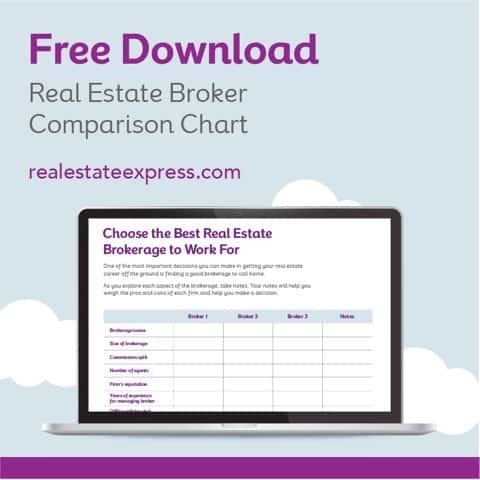 FREE DOWNLOAD: How much does it cost to become a real estate agent? Make sure you are well rested on the day of your test. Do not go into the test tired or hungry. Get a good night’s sleep the night before, and make sure you are properly nourished when you arrive at your appointed test time. It is not recommended that you attempt any practice testing on the day of your real estate exam. Last minute cramming can cause you to tense up and over think. Concentrate on being calm and staying focused on the material in front of you, and passing your real estate exam will be a breeze. Take the time to read every word of every question on your real estate exam. This may seem obvious or trivial. But, in timed multiple choice exams, missing or misreading one word can make a big difference. Words like “all” or “none” are great examples of words that can be missed when you are reading something too quickly and can totally change the context of the question. Mistaking one word for another, such as reading ”is” instead of “if,” can also change a question completely. Most test makers understand that people misread words and will be sure to include an answer in the multiple choice that would be a correct answer in that case. Simply taking the time to read each question carefully can make all the difference in passing your real estate exam. It is easy to overlook the details when you are nervous or in a hurry. Carefully track which question you are on so that you don’t fill in answers in the wrong order on your answer sheet. Being off by just one line can make the entire test wrong. If you’re not paying attention, by the time you realize it, you may not have time to fix your answers. Do not leave any spaces blank. If you’re not sure, take a guess. 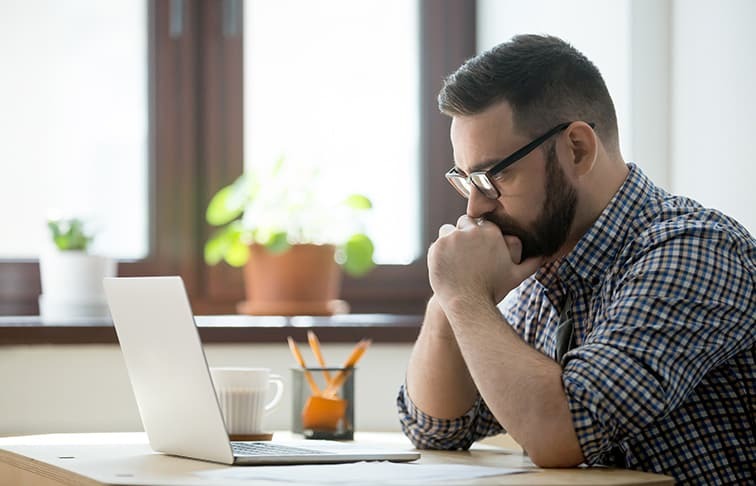 The five tips for passing your real estate exam listed above are simple things you can do to help ensure you pass with flying colors. However, many people feel that they need some additional help with real estate exam prep. To increase your chances of passing your real estate exam the first time, take our Real Estate License Exam Prep Course. This course provides helpful tools such as quizzes, a specific state-only practice exam, and Coach’s Commentary© feedback.